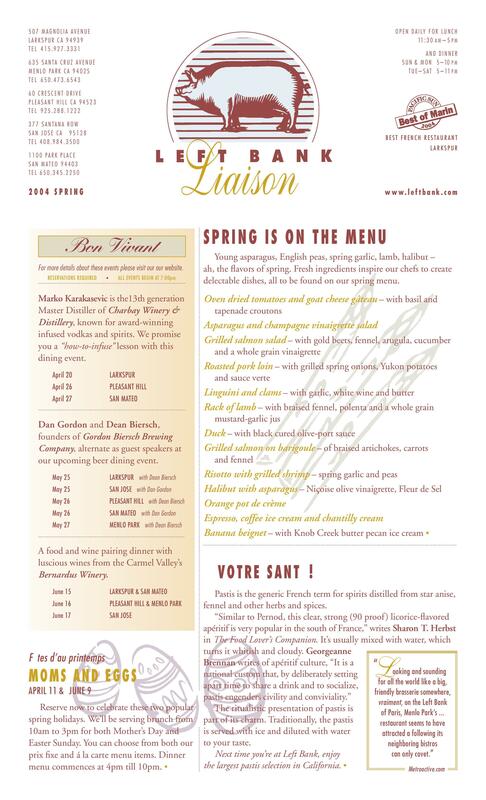 Phyllis created, wrote content and supervised design, production, printing, and distribution of this quarterly newsletter highlighting the five Left Bank brasseries from 1997-2005. News included recipes, upcoming events, promotions, chef profiles, and more. 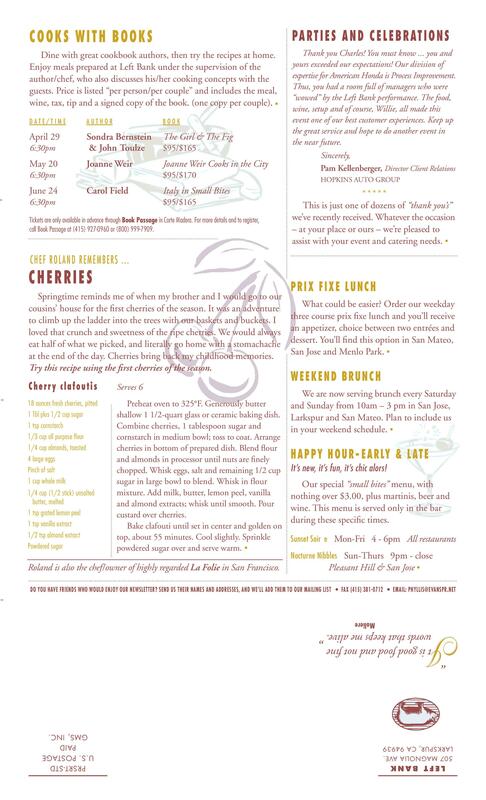 The 8.5″ x 14″ double-sided self-mailer was sent to Left Bank’s extensive database, and also distributed to guests in the brasseries.